As we get closer to the end of another school year I’m sure many of you will be taking stock & checking your sports equipment. Should you find it’s not all up to scratch there’s no need to panic, order with us between 23rd & 27th June & receive 5% discount. 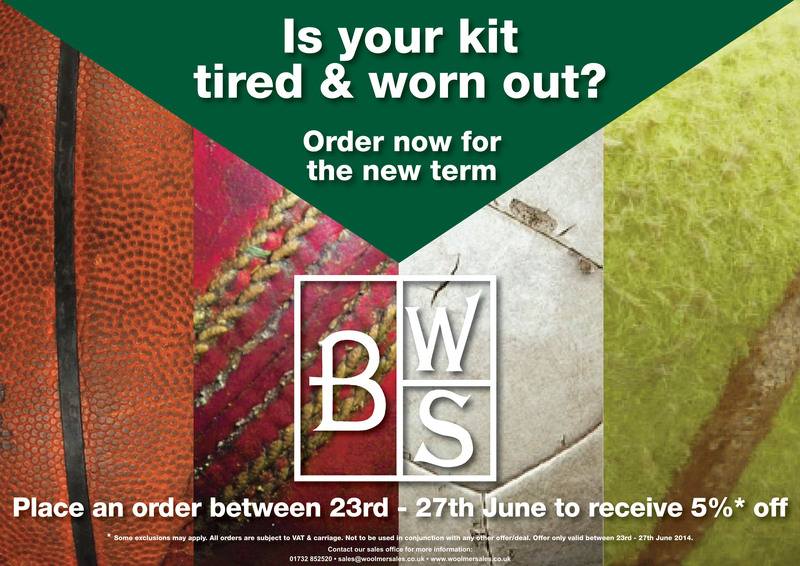 If you were thinking of waiting until September maybe a quick stock check now could save you a few pounds, the more you order this week the more you’ll save. This entry was posted in Bob Woolmer Sales, Newsletter/Offers, Products and tagged discount, new kit, orders, September.